The 11:00 am dedication ceremonies on took place in the Arts Center Theatre and featured U.S. Senator J. William Fulbright (who was in the midst of championing what would soon be known as the John F. Kennedy Center for the Performing Arts), Congressman Wilbur Mills, Governor Orval Faubus, Little Rock Mayor Byron Morse, Winthrop Rockefeller and Jeanette Rockefeller. 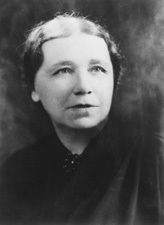 The dedication ceremony was chaired by Jane McGehee, now known as Jane McGehee Wilson. Earlier this month she was honored at the Arkansas Arts Center with an outstanding patron award in recognition of her work supporting the Arkansas Arts Center for close to six decades. More information on her work for the AAC can be found here.